H.A.P.P.Y. 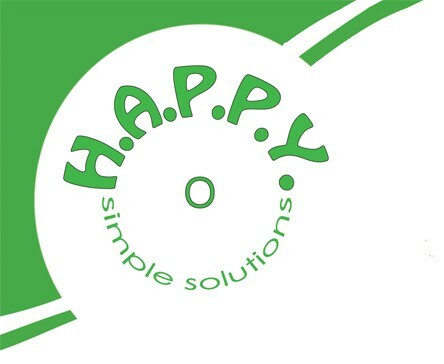 Simple Solutions is not a medical supply company. We are a family of creative souls who produce simple textile products in hopes of creating a more dignified, comfortable lifestyle for those with physical challenges. Although our products work well for many people, they may not work for you or your child. The use of all our products purchased from H.A.P.P.Y. Simple Solutions should be discussed and reviewed by your personal medical professionals and evaluated for their safety and effectiveness per your individual needs. Use of these products is at your own risk with the knowledge that H.A.P.P.Y. Simple Solutions and the kind hands that create the products are not licensed medical device suppliers and have not been tested by the FDA. Your safety is of great concern to us, so please consult your physician prior to use and know that their use is at your own risk. At H.A.P.P.Y. Simple Solutions, your satisfaction with our product is important to us. You may request an exchange or refund for unused items within 30 days if you find that we have overlooked a defect. However, since we are in the hygiene business we will be unable to accept returns on used items. In the rare, regrettable event of an overlooked defect on items purchased from www.happysimplesolutions.com, please give us a call, 1.800.375.4991 or send us an email, info@happysimplesolutions.com so that we may issue you a Return Authorization (RA) number and provide return details. Once you receive your RA from us, your product must be received within the next 10 days.